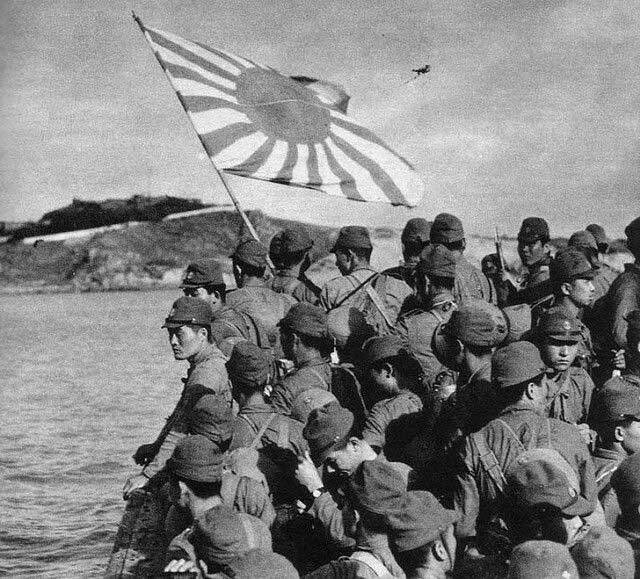 Rikusentai (Japanese marine troops) unit in landing craft, awaiting beach assault, unknown date. Battle of the Pacific: The Japanese launch their first main assault on the Allies' main defensive line on Bataan at 15:00 on 9 January 1942. Advancing from the Dinalupihan- Hermosa region, the Japanese split their force so that two combat groups attack US II Corps in the east and one attacks I Corps in the west. The American and Filipino army units see the Japanese coming and open fire with artillery, dispersing the attack. The attacking Japanese skirmish with Allied patrols but don't actually attack the Allied outpost line, preferring to establish their own line close to it instead. The USAAF Far East Air Force sends nine B-17 Flying Fortresses based at Singosari Airfield on Java against shipping in Davao Bay, Mindanao, but only five make it all the way, the rest turning back with various mechanical issues. "Lot 11614-9: Second Sino-Japanese War, July 1937-September 1945. Battle of Changsha, January 1942. China Fights On Against All Odds. 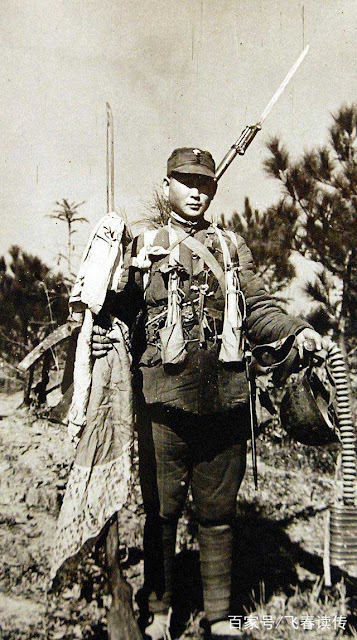 Despite overwhelmingly inequalities in armament, aircraft, and supplies, China continues to take heavy toll of the well-equipped Japanese army. With the material support of her U.S. and British allies, she is resisting the latest big Japanese drive. Picture shows Chinese soldier with captured Japanese war material. " 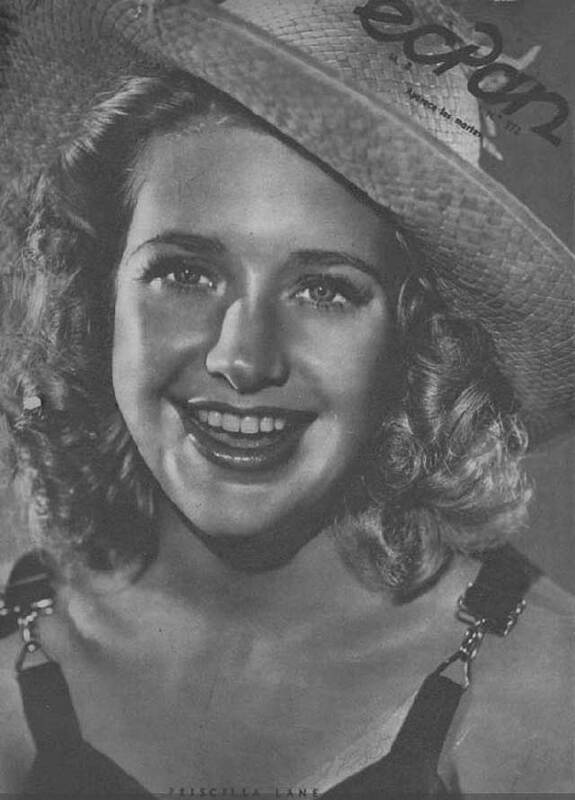 This photograph released in January 1942. Office of War Information Photograph. (2016/01/22). In Burma, the American Volunteer Group (AVG, or "Flying Tigers") are fighting the Japanese based in Thailand every day. 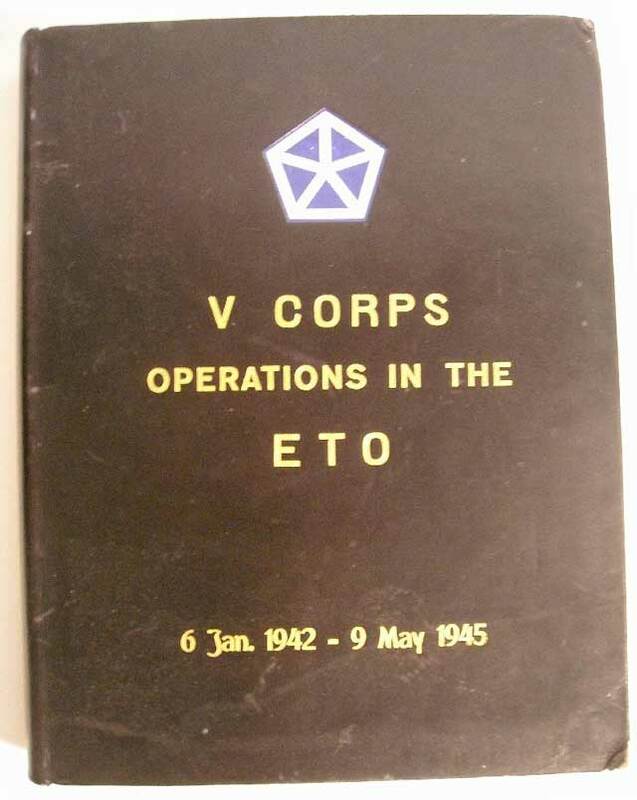 Today, they launch an offensive mission against Tak Airfield at Rahaeng, Thailand. They destroy four Japanese planes at no loss to themselves. The reconnaissance of Truk on 9th January 1942, by F-Lt R. Yeowart and crew in a specially fitted Hudson Mk IV of No. 6 Squadron. The operation, involving a return flight of 1,405 statute miles, was the longest sea reconnaissance which had been undertaken by the R.A.A.F. in a land-based aircraft. 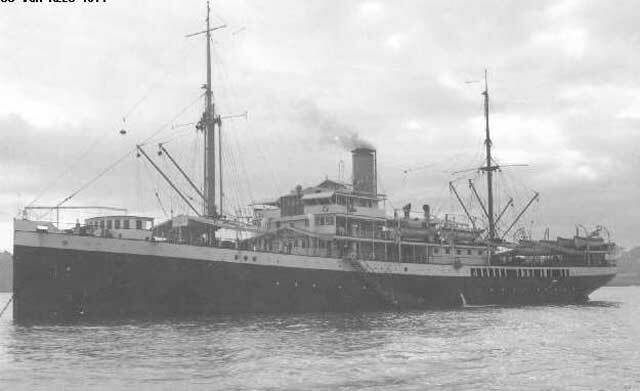 The concentration of enemy shipping and aircraft seen at Truk gave warning of the Japanese thrust south to New Britain and New Ireland in the next two weeks. Australian War Memorial 128121. In Singapore, area commander Lieutenant General Arthur Percival orders Indian III Corps to withdraw into Johore. This is the last stop before Singapore itself. The Corps begins withdrawing while executing a scorched-earth policy. The shattered Indian 11th Division and all available other units plan to delay the Japanese at two lines, the first at Seremban and Port Dickson, and the second at Tampin and Malacca. The British are aided by the narrowing of the Malay Peninsula to the south, which typically favors the defense - if they have enough troops to man the entire line. The Malayan Campaign. 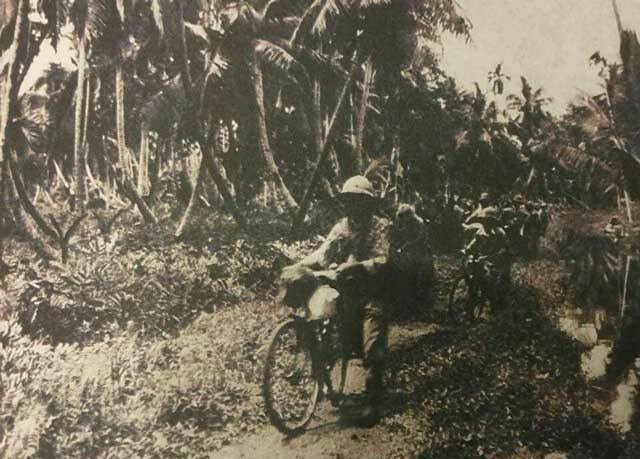 The Kunishi Detachment advancing on a muddy secret coastal path through coconut palm trees dragging their bicycles. 9 January 1942 Credits: Takao Fusayama. The Japanese are planning invasions of Rabaul and the Netherlands East Indies. 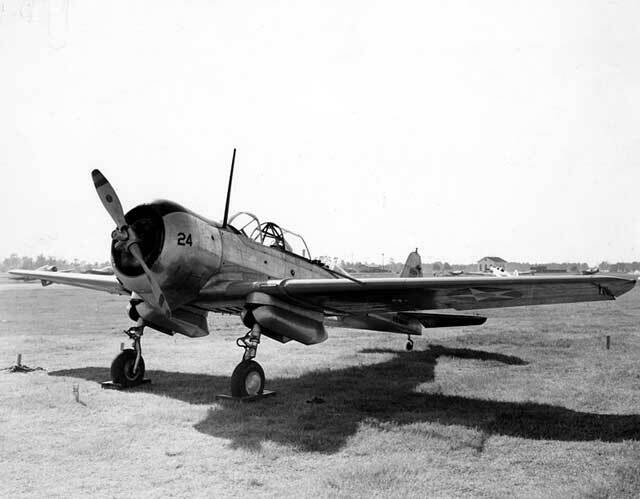 To soften up the defending Australian troops, the Japanese Naval Air Force has been bombing the Allied base at Rabaul with carrier-based aircraft. The Japanese have gathered a large fleet of transports at Truk lagoon to carry the invasion troops. 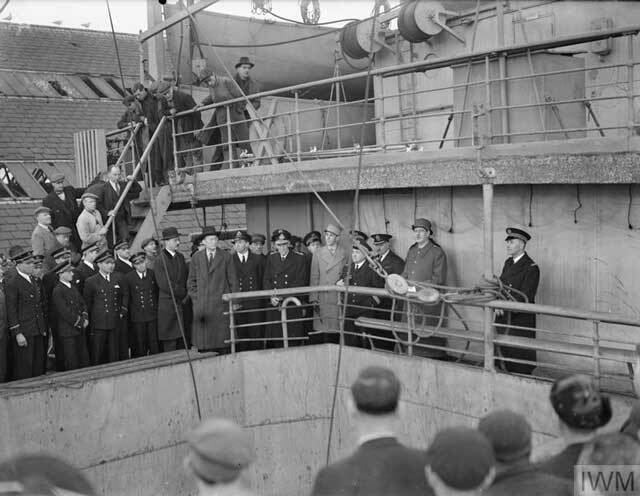 "General de Gaulle making a speech to the assembled ships companies" De Gaulle is visiting Free French merchant ships in Liverpool on 9 January 1942. © IWM (A 7013). Eastern Front: After dark, a blizzard hits the Moscow sector which paralyzes all movement for a full day. This helps the Germans, whose front has been creaking for weeks but not entirely breaking. During the day, the Soviet Third and Fourth Shock Armies had attacked German 16th Army west of Ostashkov, but the snow stops them, too. However, before the snow began, they hit a two-regiment division, the 123rd, that is holding a 35-mile portion of the line. Since the 123rd Division is so weak, it has been holding widely separated strongpoints which the Red Army simply bypasses. That doesn't mean that the German strongpoints are safe, just that they haven't been eliminated... yet. 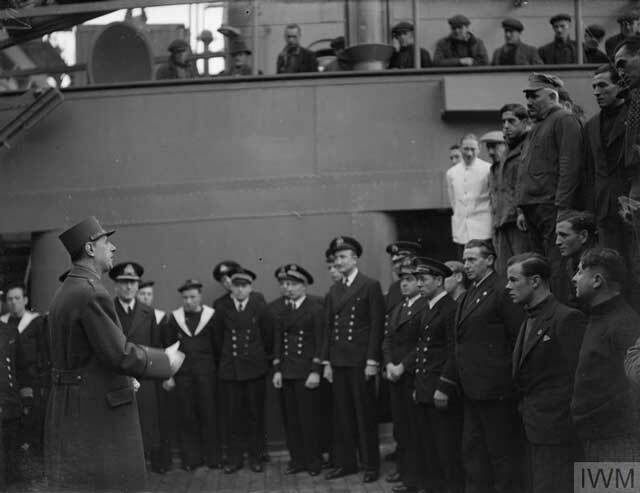 "General de Gaulle addressing the ship's company during a visit to one of the Free French Merchant Ships" Liverpool, 9 January 1942. © IWM (A 7011). Partisans: The Battle of Dražgoše begins in Slovenia. This is the first direct battle between the German Army and the Slovene Partisans. The confrontation lasts until 11 January 1942. It is a controversial incident because there are conflicting accounts of why the battle takes place at all, and why it takes place there. According to one version, the Partisans chose the town of Dražgoše because it is Catholic and the Partisans for reasons of their own wish the Germans to harm its inhabitants. Under another version, the Battle of Dražgoše is simply a heroic act of defiance and a moral victory against the invaders (this is the accepted version throughout the subsequent decades of Communist rule). What is not disputed by anyone is that the German forces quickly force the Partisans out of the village and exact retribution against the villagers, executing dozens of inhabitants and eventually demolishing the entire town. 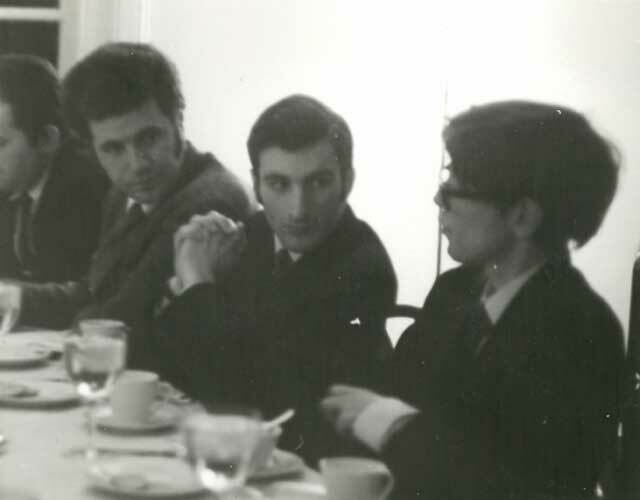 Politics in the Balkans is very murky throughout World War II and subsequent decades and things there often are not what they seem at first glance. "HMS Cleopatra, British Dido Class cruiser. 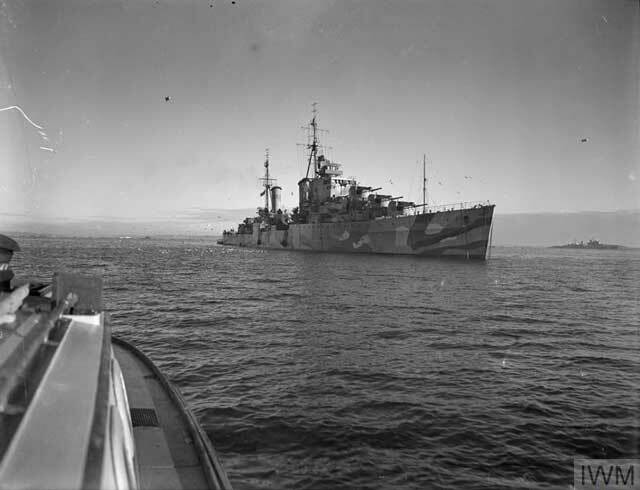 9 January 1942, at anchor in Scapa Flow." © IWM (A 7062). A military man can scarcely pride himself on having 'smitten a sleeping enemy'; it is more a matter of shame, simply, for the one smitten. I would rather you made your appraisal after seeing what the enemy does, since it is certain that, angered and outraged, he will soon launch a determined counterattack. This may be the source of the infamous "we have only awakened a sleeping giant" quote that is often attributed to Yamamoto. The only way I could have beaten Louis that night was with a baseball bat. Baer ends his career with a 52-7 record with 46 knockouts. 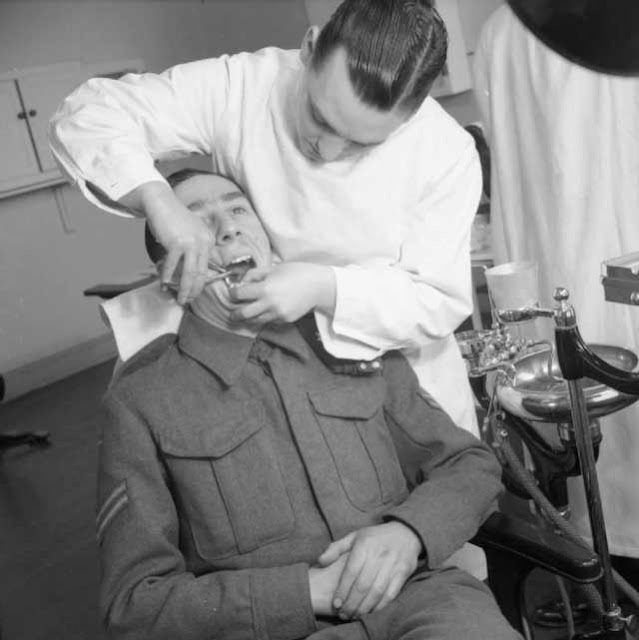 A dentist at work at the Army Dental Centre in Belfast, 9 January 1942. 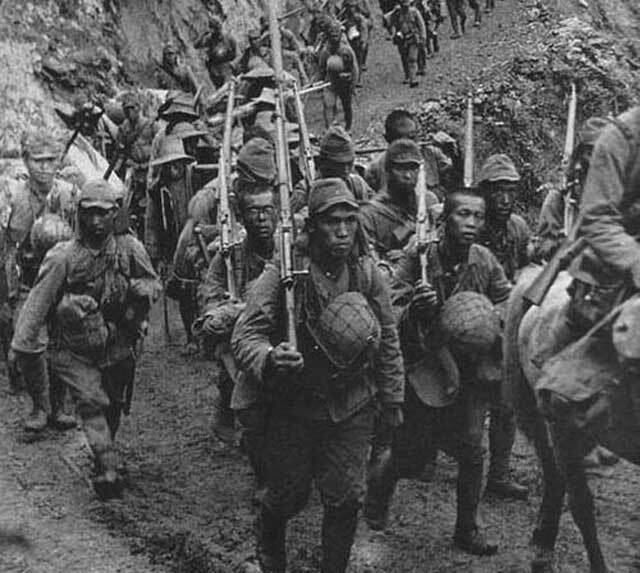 Japanese soldiers marching to Bataan ca. 7 January 1942. Eastern Front: The Soviet General Offensive begins as scheduled on 7 January 1942. North of Lake Ilmen, Soviet 4th and 52nd Armies and 2nd Shock Arm (now under the command of Lieutenant General Andrei A. Vlasov) of Volkhov Front attack southwest of Leningrad. On the southern part of Lake Ilmen, ski troops and motor convoys of Soviet 11th Army cross the frozen lake while German outposts watch from the opposite shore. The Red Army attacks are not strong, but the defending German 16th Army does not have a continuous line but instead a chain of isolated strongpoints. 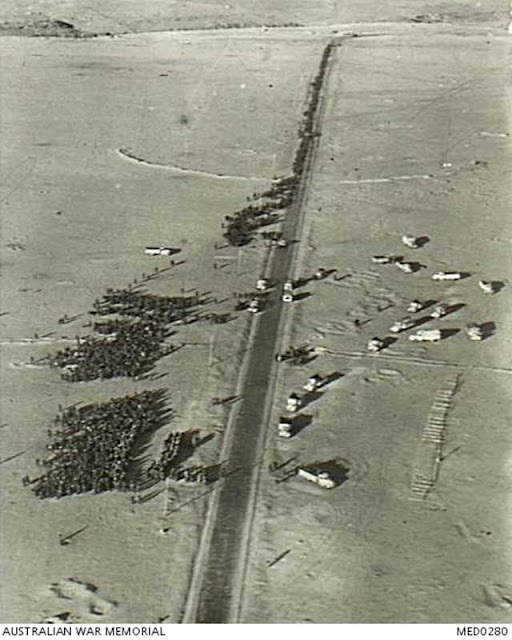 The German generals quickly decide that the 11th Army thrust is the most dangerous because it threatens Staraya Rusa, the main German supply depot for the entire region. Nothing appears too dangerous to them at the moment, but there are wide gaps in the German lines with no troops behind them for dozens of miles. Things could get difficult for the Germans, but it all depends on where the Red Army units head and how far they decide to go. The Battle of Moscow is generally defined to end on 7 January 1942 due to the Soviet offensive. 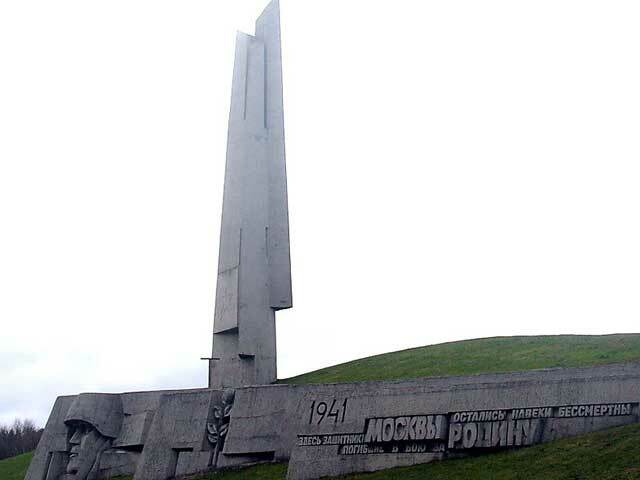 The monument to the victory in the Battle of Moscow (2 October 1941 - 7 January 1942) is located in Zelenograd, located within Moscow Oblast 37 km northwest of central Moscow at the approximate location of the closest German advance to the city in 1941 and the site of the first mass grave of Russian soldiers. The 42-meter monument symbolizes bayonets carried by Red Army rifle, tank, and cavalry divisions. It is located on the "Hill of Glory" which itself rises 27 meters. An inscription reads, 1941 "Here the defenders of Moscow, fallen in battle for the Motherland, remain forever immortal." Battle of the Pacific: The Japanese attack on the main British defensive line at Slim River on the Malay Peninsula features some of the most daring and fluid attacks of the entire campaign. The Japanese have brought up powerful tank forces on the western end of the British defensive line near Trolak. At 03:30 on 7 January 1942, in heavy rain, the Japanese artillery begins firing at the positions of the Indian 11th Division defending the main raid south toward the Slim River rail bridge. Major Toyosaku Shimada of the 5th Division then sends his roughly 17 Type 97 medium tanks and 3 Type 95 Ha-Go Light Tanks down the road, maneuvering past defensive obstacles. The Indian 4/19th Hyderabad Regiment under the command of Major Alan Davidson Brown quickly call in artillery counterfire that destroys one Japanese tank. The Japanese keep coming, however, and soon drive a wedge into the Allied line. The defensive line breaks up into small groups, and by 04:00 the Japanese tanks had scored a clean breakthrough. "Striking down an aircraft. 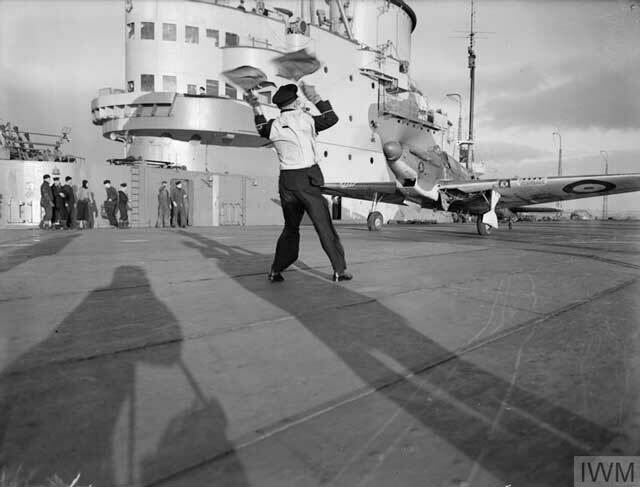 The Parking Officer in the flight deck of HMS VICTORIOUS flagging a Fairey Fulmar to the lift before being struck down." 7 January 1942. © IWM (A 7006). Major Shimada's tanks then encounter the 5/2nd Punjab Regiment. After losing two tanks to land mines and Boys anti-tank rifles and a third to Molotov cocktails, the Japanese advance stops because the road is blocked and there are dense forests on either side. The Japanese quickly find a loop road that enables them to bypass the blocked main road. 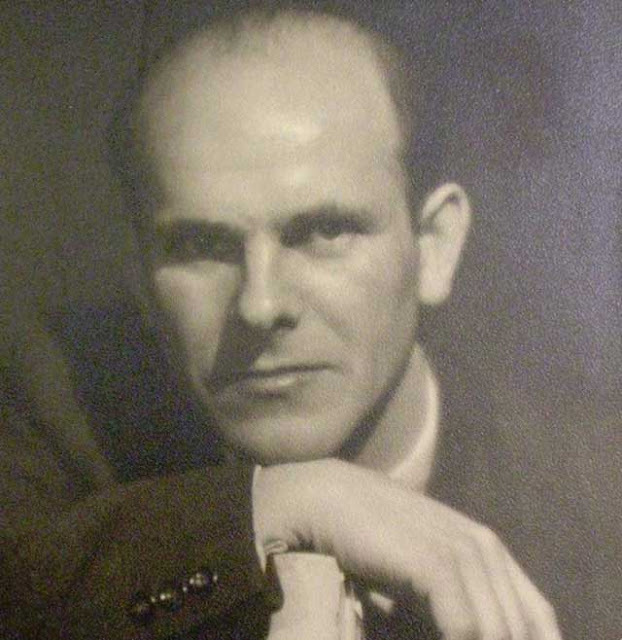 By 06:00, the Japanese tanks have destroyed the 5/2nd Punjab Regiment and advanced further south to the town of Trolak, where they face the 2nd Bn, Argyll and Sutherland Highlanders under Lt. Col. Lindsay Robertson. The British troops are surprised by the speed of the Japanese advance and four of Shimada's tanks get through their line before the British open fire. The British, with tanks both in front of them and behind them, lose control of the road, and the four Japanese tanks in the lead head straight for the railway bridge. By 07:30, the Japenese have complete control of Trolak and the British are fleeing into the jungle, some remaining there for weeks. The British then destroy the rail bridge, leaving the Japanese in complete control of the north bank but unable to quickly cross the river. The Supermarine Seafire, Spitfire fighters converted for use aboard aircraft carriers, makes its first flight on 7 January 1942. There are a total of 2646 built. 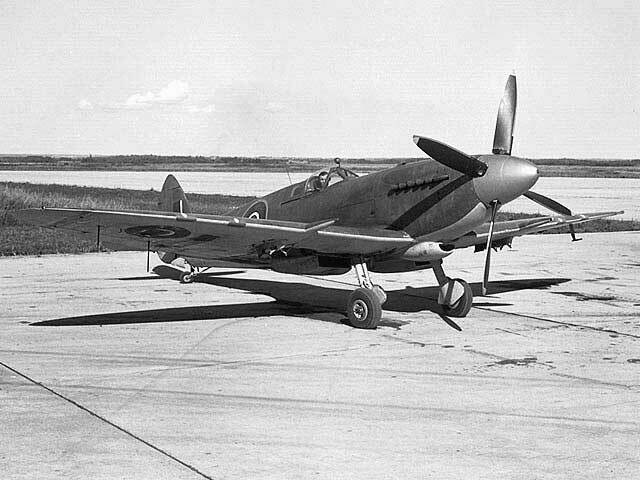 The first batch of 48 is composed of Spitfire Mk Vb fighters that have been converted to carrier duty by adding an arrestor hook and strengthening the lower longerons. In addition, reinforcing strips are riveted around hatch openings and along the main fuselage longerons to provide strength. The Japanese now send a small task force under Lieutenant Sadanobu Watanabe toward a road bridge that is still intact six miles away. 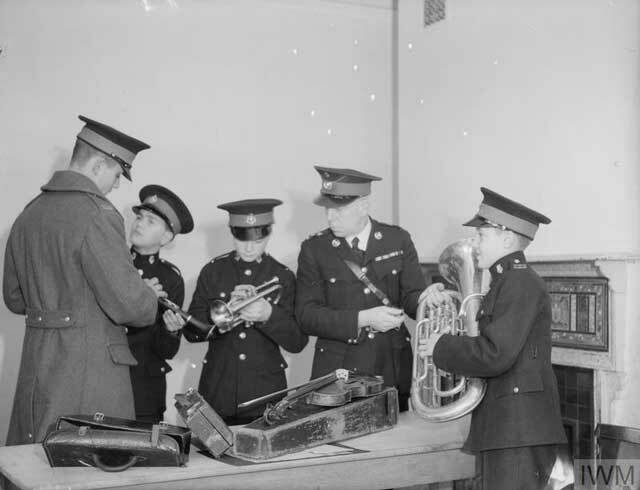 The British service troops (artillery, medical, food supply, etc.) in this direction are taken by complete surprise, with two British artillery colonels surprised while driving on the road and killed. By 08:30, Watanabe is at the road bridge, where he personally cuts the demolition wires with his ceremonial sword. Watanabe then sends three tanks under the command of Ensign Toichero Sato across the bridge, and Sato advances 3 miles (4 km) before running into two 4.5-inch Howitzers of the British 155th Field Artillery Regiment. Sato's tank destroys one gun, then he himself is killed in his tank by the second gun. The remaining two Japanese tanks then quickly return to the road bridge and await reinforcements. 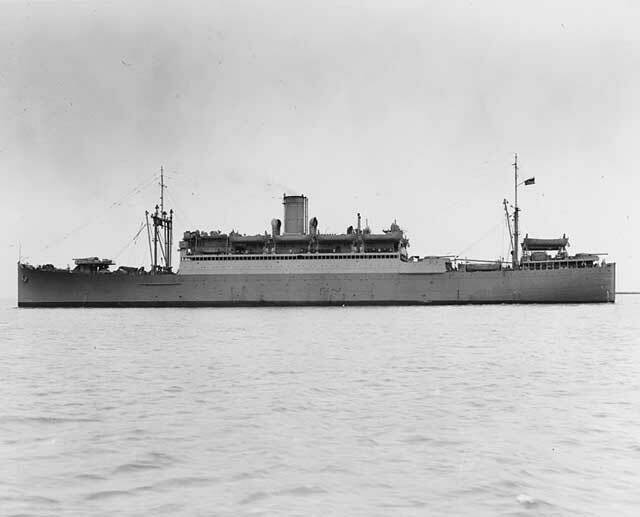 USS Downes (DD-375) on 7 January 1942. 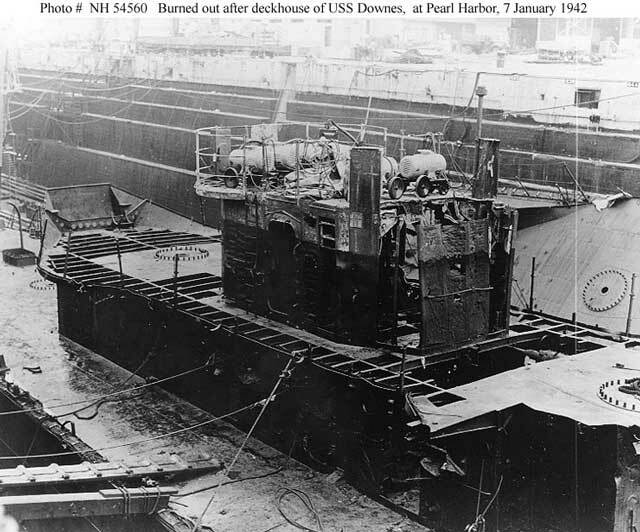 Downes was badly damaged during the Japanese attack on Pearl Harbor. This photo shows the aft deckhouse as seen from off the starboard side. USS Cassin (DD-372) has capsized against Downes' port side (U.S. Naval Historical Center Photograph). All in all, the Japanese advance over the Slim River during the morning hours of 7 January 1942 covers 16 miles (25 km), effectively destroys the 11th Indian Division, and blows a hole in the main Allied defensive line. The British realize the danger and withdraw Indian III Corps - or what is left of it - from the southern bank of the Slim River southward to Tanjong Malim, a village between the village of Slim and a road junction at Kuala Kubu. With the British defenses further north being savaged, the British in Singapore know they are in trouble. General Archibald Wavell, commander of the entire British-held region centered in India, arrives in Singapore on an inspection tour. He tours the north side of the island with chief engineer Brigadier Ivan Simpson and learns that no island defenses have been prepared. When he queries local commander Lieutenant General Arthur Percival about this, Percival responds that he thinks building defenses would be bad for morale. 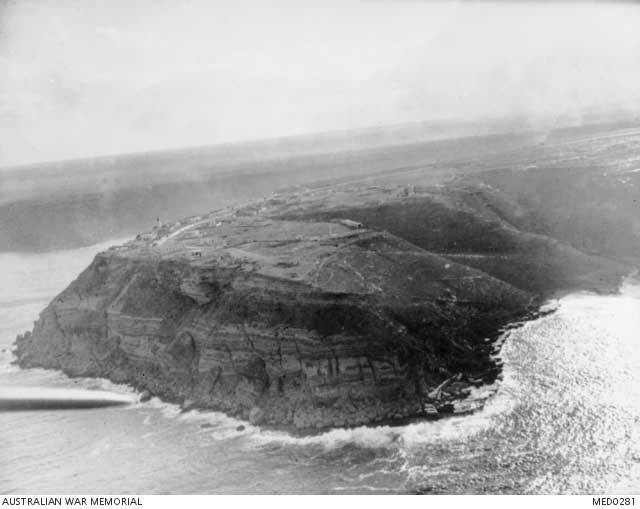 Wavell immediately orders Percival to begin building defenses on the north side of the island and to prepare to destroy the causeway connecting it to the mainland. 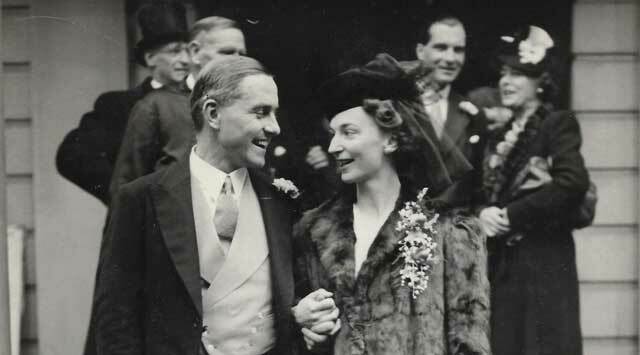 Percival pays lip service to Wavell's order but after this meeting does virtually nothing to prepare for a Japanese attack on the island. 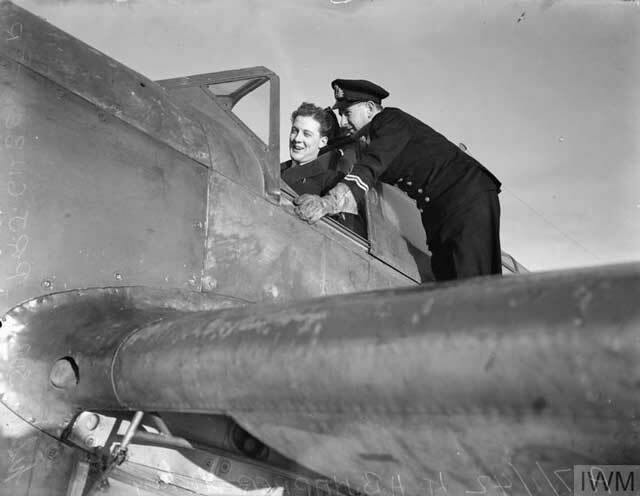 "Commander (F) H C Ranald testing the running up of fighter planes with a stopwatch in hand on the flight deck of HMS VICTORIOUS." 7 January 1942 © IWM (A 7008). In the Philippines, the Battle of Bataan begins. United States Army and Filipino Army forces in Luzon abandon their switch position at Layac Junction on 7 January 1942. They now withdraw into the Main Line of Resistance (MLR) which is about 20 miles (32 km) long. The MLR extends from Mauban on the west to Mabatang on the east. There is an Outpost Line (OPL) is being maintained forward of the MLR. North Luzon Force now becomes 1 Corps (22,500 men of 1st, 31st, 71st, and 91st Divisions, all Philippine Army (PA), 26th Cavalry Philippine Scouts (PS), miscellaneous troops, and supporting weapons) and defends the western half of the MLR. The Bataan Defense Force becomes II Corps (25,000 men of the 11st, 21st, 41st, and 51st Divisions (all PA), the 57th Infantry (PS) of the Philippine Division, and supporting weapons.) and takes the right half of the MLR. 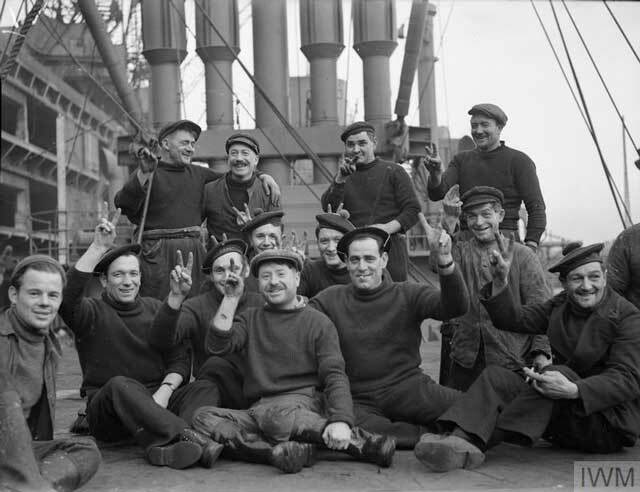 "Members of the crew giving the "V" for Victory sign." FFS Indo Chinois, 7 January 1942. © IWM (A 7015). The Allies rely on a defense in depth. Behind the MLR is another defensive line composed of U.S. Army Forces, the Far East (USAFFE) reserve, i.e., the U.S. Philippine Division, less the 57th Infantry Regiment; a tank group; and a self-propelled mount group. This completes the Allied retreat into the Bataan Peninsula. There is a Service Command Area located at the southern tip of the Bataan Peninsula below the Mariveles Mountains. This rear area is the responsibility of Brigadier General A. C. McBride and is policed by the newly formed 2d Division Philippine Constabulary. 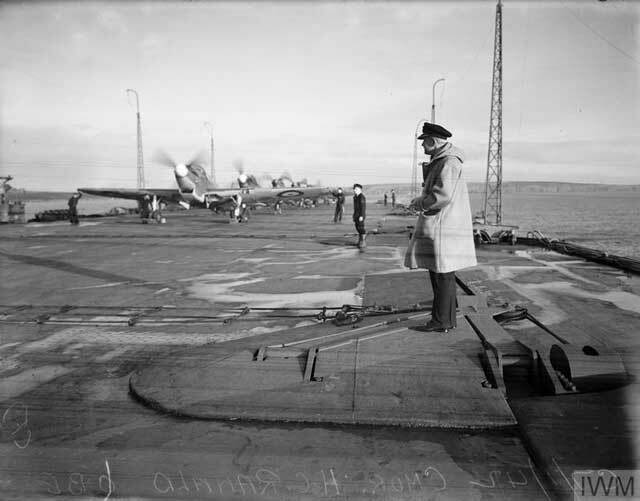 "Commander (F) H C Ranald testing the running up of fighter planes with a stopwatch in hand on the flight deck of HMS VICTORIOUS." 7 January 1942. © IWM (A 7008). Battle of the Mediterranean: British patrols find that the Germans have abandoned Agedabia. The first Royal Navy convoy from Alexandria to Benghazi arrives safely despite high seas. 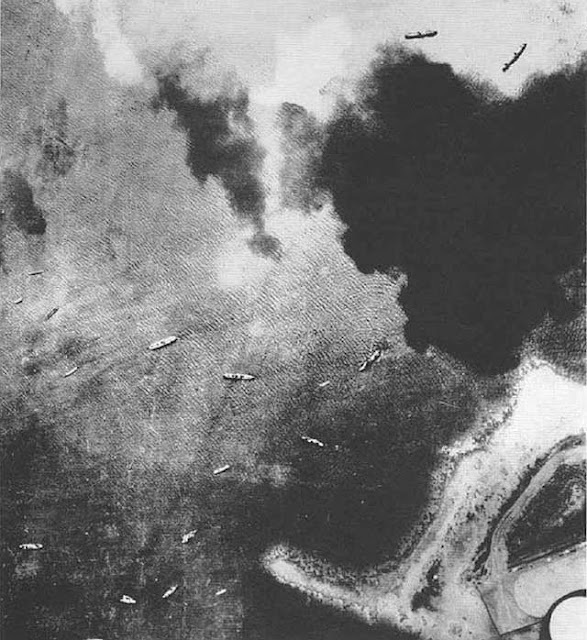 Western Front: RAF Bomber Command continues its attacks on German warships at anchor in harbors along the French coast. 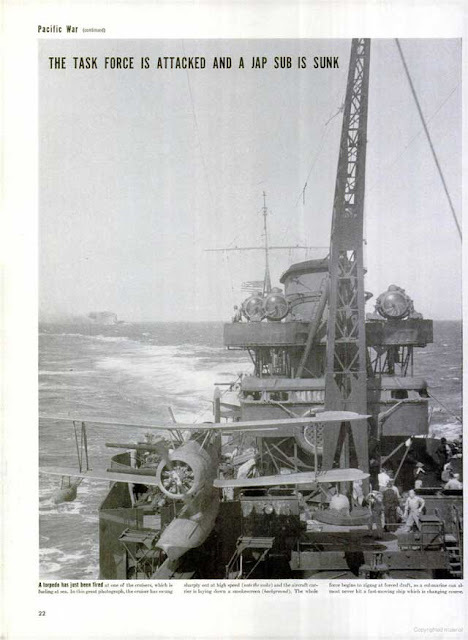 While they have attacked Cherbourg Harbor during the past two nights, today the British switch to Wellington bomber attacks on warships at Brest and St. Nazaire. Neither attack causes much damage, but the Germans are on notice that the British are determined to eliminate the Kriegsmarine surface ships parked on the French Atlantic coast. 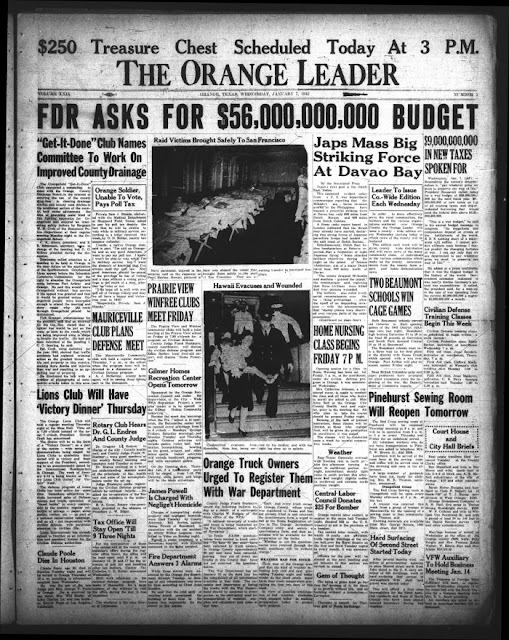 The Orange Leader of Orange, Texas headlines President Roosevelt's budget request for fiscal 1943. 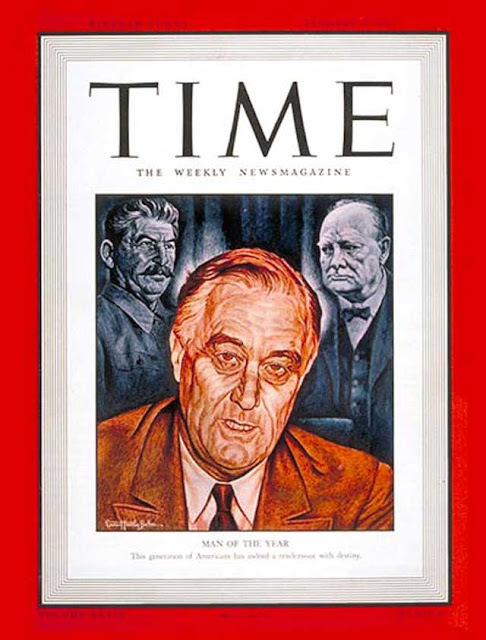 US Government: Having previewed his plans during his State of the Union address on 6 January 1942, President Franklin D. Roosevelt submits his budget for fiscal 1943 (the fiscal year begins on 1 October 1942). This budget requests the expenditure of $77 billion over the next 18 months, $56 billion of which is for the war effort. 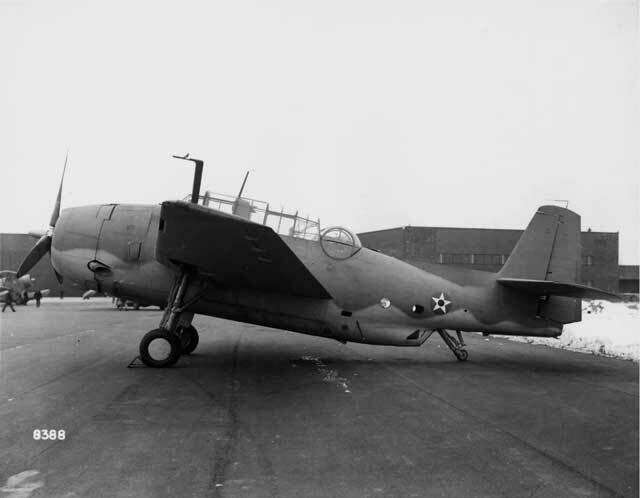 The budget plan calls for the production of 125,000 aircraft, 75,000 tanks, 35,000 guns and 8 million tons of shipping by the end of 1943. These are all outlandish amounts that have never been contemplated, let alone requested, by any administration in the past. 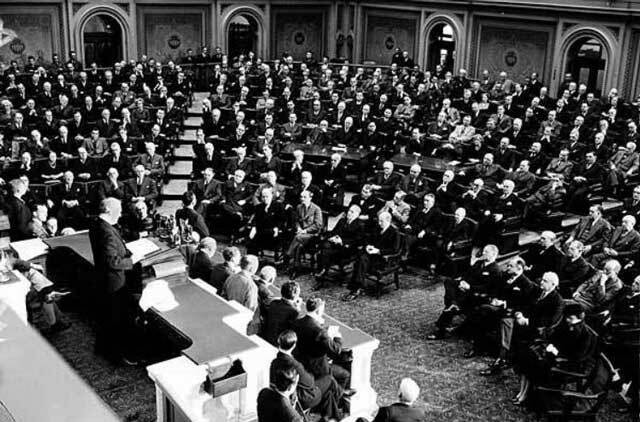 However, Roosevelt's party controls Congress and is certain to pass the budget, and everyone is united in a determination to spend whatever it takes to win the war. Future History: Vasily Alekseyev, the strongest man in the world during the 1970s, is born in Pokrovo-Shishkino, Ryazan Oblast, Russia. He begins practicing weightlifting at the age of 18 and does everything necessary to increase his weightlifting prowess, including gaining weight. 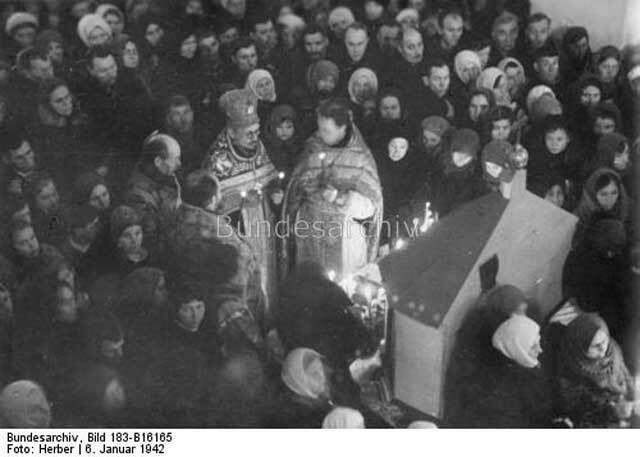 Alekseyev sets his first world record in January 1970, encouraged by bonus funds granted by the Soviet government. He goes on to win Gold Medals at the 1972 and 1976 Olympics. Alekseyev retires after performing poorly at the 1980 Moscow Olympics and later goes into politics. Vasily Alekseyev passes away on 25 November 2011 at a German clinic from heart problems after having become one of the great international sports celebrities of the Soviet era. 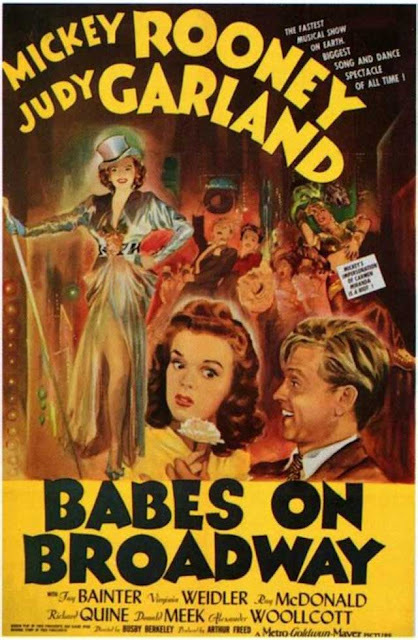 "Babes on Broadway" (1941) starring Mickey Rooney and Judy Garland is the number one grossing film in the United States for the week of 7 January 1942. 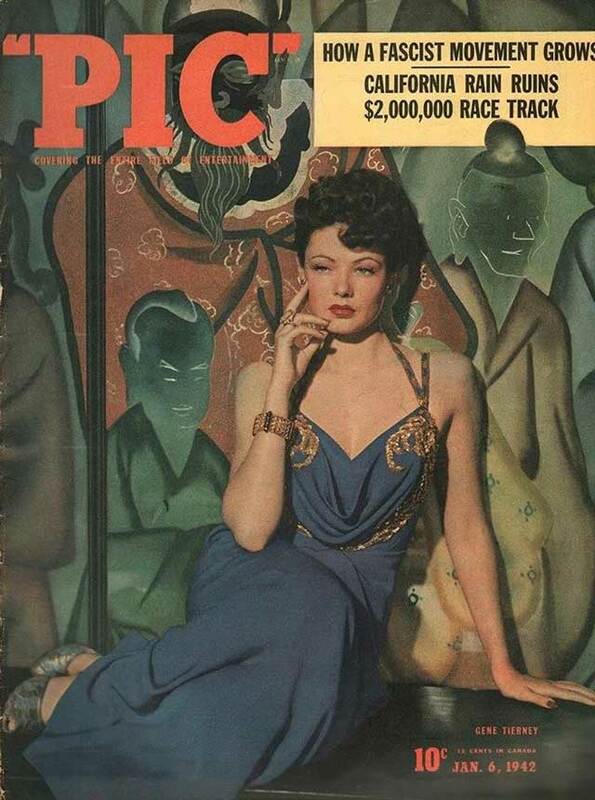 It comes in ahead of Bob Hope's "Louisiana Purchase." German Homefront: Although the "Winter Relief Drive" got off to a very late start, the German newsreel "Die Deutsche Wochenschau" for 7 January 1942 is devoted largely to scenes of collecting and distributing winter clothing. There are many happy scenes of happy citizens donating clothing and happy men receiving it. The newsreel announcer notes that "Gifts for soldiers in the East show the unique solidarity between the homeland and the front." It further points out that "only the best wardrobe is good enough for the troops." There are also happy scenes of soldiers at the front building toy airplanes, happily learning to ski, and returning happily from Luftwaffe reconnaissance missions. While much clothing is being collected, little is making its way to the front because of lack of train space, and few soldiers at the front are smiling as they are attacked by the Red Army and losing digits and limbs to frostbite. Still, the battle is going well: "Whoever [on the other side] is not taken dead is taken alive," the announcer proudly states. "Western Desert, Egypt. 5 January 1942. 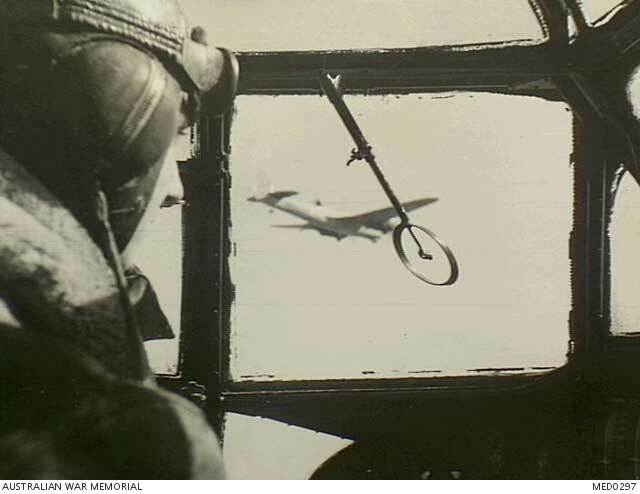 En route to a raid on Halfaya, this pilot of a Bristol Blenheim bomber aircraft looks through his gunsight as the raiding aircraft sweep down on the isolated Axis positions. Ceaseless attacks are being carried out by RAF and Free French squadrons." Australian War Memorial MED0297. Eastern Front: The Soviet leaders have been greatly surprised by the success of the counterattack around Moscow that began in early December 1941. On 5 January 1942, the political and military leaders make plans to convert the counteroffensive into a general offensive that will liberate vast sections of Soviet territory. After dark, the Politburo (political) members meet with Stavka (military) members to discuss a drive not only to relieve pressure on Moscow, but also to liberate Leningrad, the Donets Basin, and the Crimea. While the offensives in the Crimea and around Moscow already are in progress, the ones near Leningrad and in the Donets Basin are scheduled to begin on 7 January 1942 for the former and in two weeks for the latter. Borger Daily Herald (Borger, Tex. ), Vol. 16, No. 38, Ed. 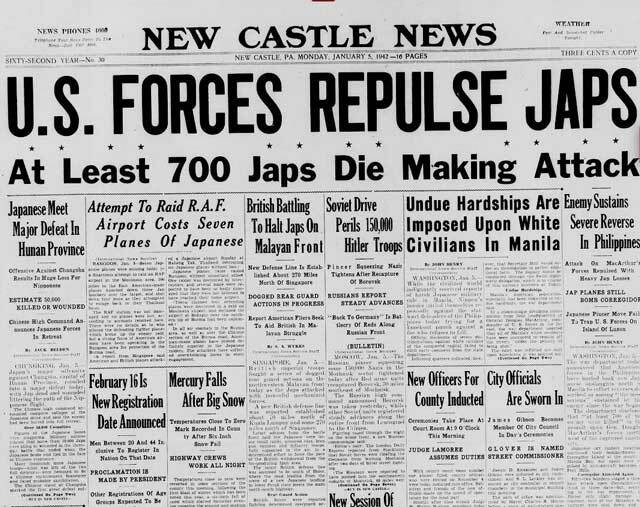 1 Monday, January 5, 1942. 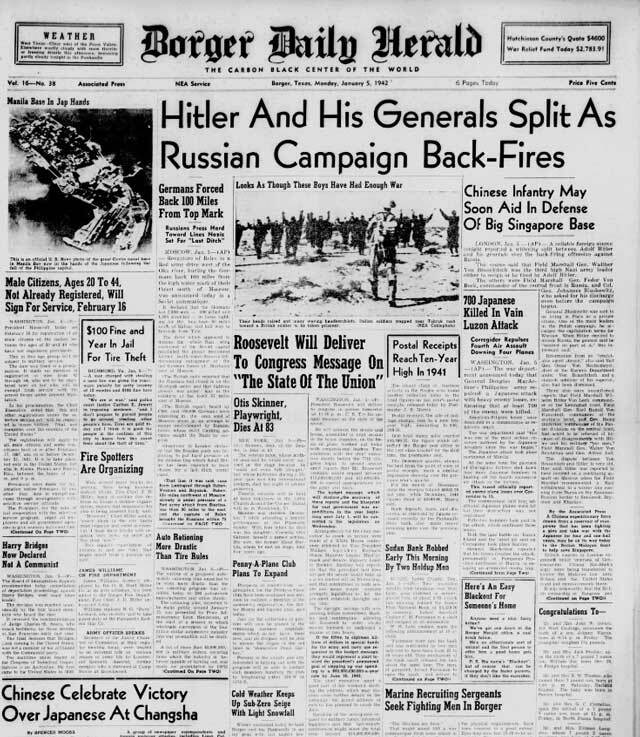 The Daily Herald headline correctly reads, "Hitler and His Generals Split as Russian Campaign Back-Fires." The Germans are in confusion as a result of their setback at Moscow. They are badly prepared for winter. Now is the best moment to over to the general offensive. Stalin then asks General Georgy Zhukov to speak, apparently without coordinating what Zhukov should say beforehand. Surprisingly, Zhukov disagrees with Stalin, which is extremely unusual, particularly in such an open setting. Zhukov contends that the entire effort should be made in the center of the front around Moscow and not dispersed to other areas. Another official present, member of the State Defense Committee and chief of war production Nikolai Voznesensky, then is asked to speak and basically supports Zhukov, not Stalin. Voznesensky notes that there would not be enough ammunition and weapons to sustain offensives in different places, so only one area should be chosen. It is an extraordinary display of independence among people in very vulnerable positions. Images from a 5 January 1942 Life magazine article on life in the US Navy after Pearl Harbor. We must pound the Germans to pieces as soon as possible so they won't be able to mount an offensive in the spring. Stalin's plan for a general offensive in multiple places is adopted. Some members present at the meeting are surprised that Zhukov took a different position than Stalin. Martial Boris Shaposhnikov pulls Zhukov aside and chastises him for disagreeing because "the supreme commander had that question settled." Zhukov notes that he spoke his mind because his opinion had been requested, and asks why was he asked to speak it if it only supposed to be the same as Stalin's? 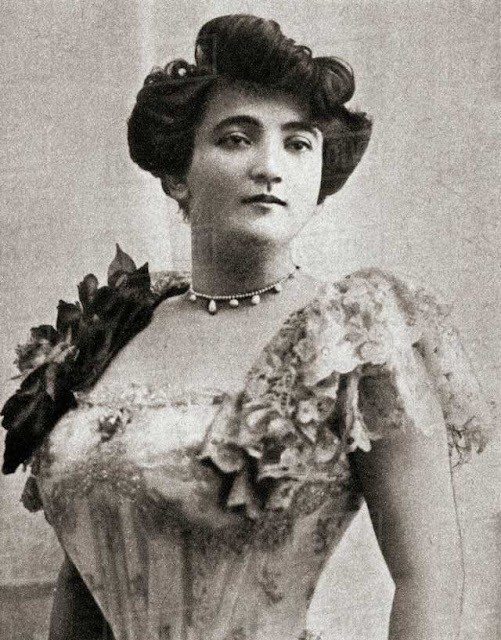 This stumps Shaposhnikov, who lamely replies, "That, my dear fellow, I do not know." The Soviet counteroffensive already is making progress both in the Crimea and around Moscow. Soviet 51st Army finally reaches the Parpach Narrows today after a slow move west from Kerch, but it takes no offensive action. Further north, the Soviet 10th Army takes Belov (Belyov or Belev) south of Kaluga and southwest of Tula. The front is gradually drifting away from Moscow and freeing up large areas where the Soviets can begin rebuilding. "A view of MASB 37 as seen from the bow. The Commanding Officer is seen directing the operation from his tiny bridge while the machine gunner is at the ready." 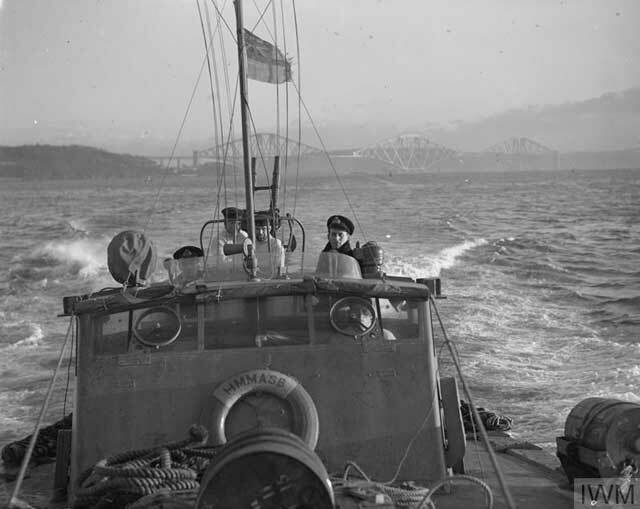 MASB 37 in the Firth of Forth, 5 January 1942. © IWM (A 6958). 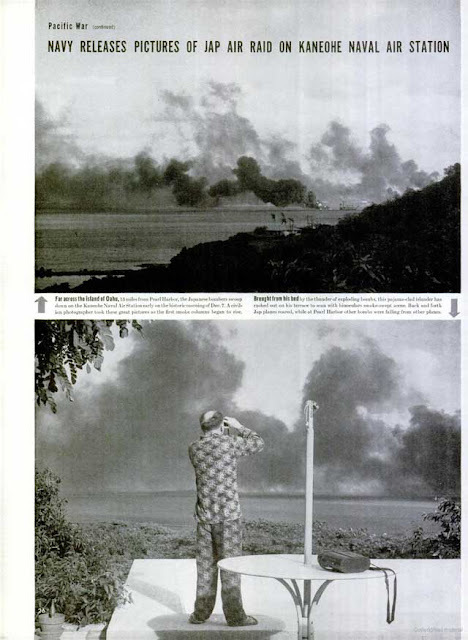 Battle of the Pacific: The United States military on 5 January 1942 is beginning to recover its equilibrium after the shock of the Japanese attack on Pearl Harbor. Today, the air echelon of the 22d Bombardment Squadron, 7th BG (Heavy), leaves Hickam Field, Hawaii, in its B-17s and heads for Singosari, Java. 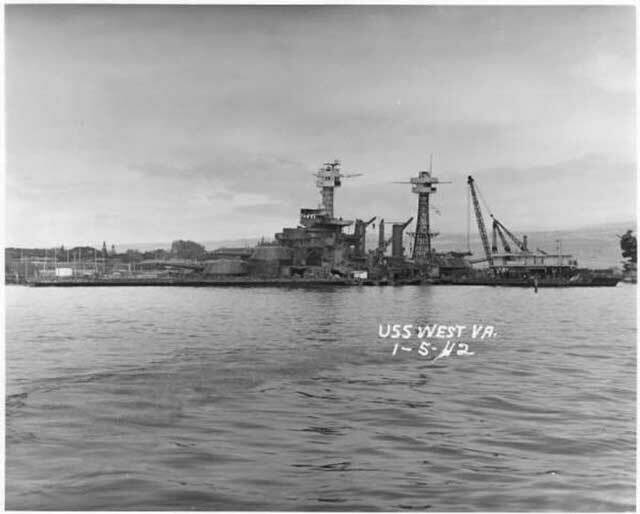 This photo of USS West Virginia (BB-48) taken on 5 January 1942 shows bomb and fire damage from the attack on Pearl Harbor on 7 December 1941. Food is running low and resupply appears problematic in the Philippines, so rations for everyone are cut in half. The Allies form a new line running from Dinaluplhan on the west to Hermosa on the east. This protects the entrance to, or base of, the Bataan Peninsula from the north and east and is the center of communications in the northern portion of the peninsula. The withdrawal continues after dark, with the troops passing through Layac Junction and then blowing the bridge there. They continue to hold the junction itself until the 6th. The 71st and 72d Regiments, 71st Division, Philippine Army, the U.S. 31st Infantry Regiment of the Philippine Division, and the 26th Cavalry Regiment, Philippine Scouts form a switch line south of Layac along the west side of the Olongapo-Manila road. With the war in the Philippines going poorly for the Allies, the US media reverts to its practices from just after Pearl Harbor and prints accounts of nonexistent victories there. Here, the New Castle (Pennsylvania) News of 5 January 1942 gives stirring tales of fabulous American victories in the Philippines while the US forces, in fact, are retreating under pressure into the Bataan Peninsula. The US Army Air Forces continue a hurried reorganization of their deployments in the Philippines. Brigadier General Richard J. Marshall establishes the Headquarters US Army Forces Far East (USAFFE) in Bataan. The ground echelons of the 17th and 91st Bombardment Squadrons, 27th Bombardment Group transfer from Limay to Bataan. The Japanese are attacking Corregidor every day and also select targets in the Manila Bay area. The British are building up their presence in Burma as the Japanese consolidate their hold on the southernmost sliver of land running south to the west of Thailand. The Indian 17th Division moves into new headquarters at Moulmein at the top of the sliver of land to form a block against a Japanese advance into the heart of the country. However, only one of three brigades that constitute the division, the 16th Brigade, while two remain behind in India. At Singapore, the British begin planning for the worst. 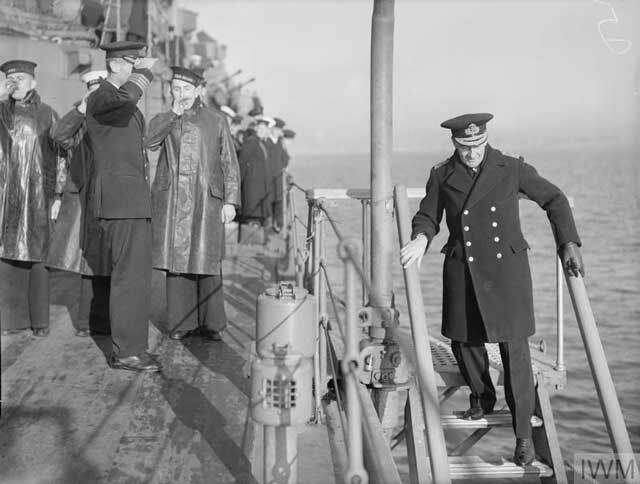 The Commander-in-Chief British Eastern Fleet, Admiral Sir Geoffrey Layton, moves his flag (headquarters) from Singapore to Batavia, Java, Netherlands East Indies. At a conference in Segamat, Lieutenant General Arthur Percival, General Officer Commanding Malaya Command, plans for a retreat into Johore. 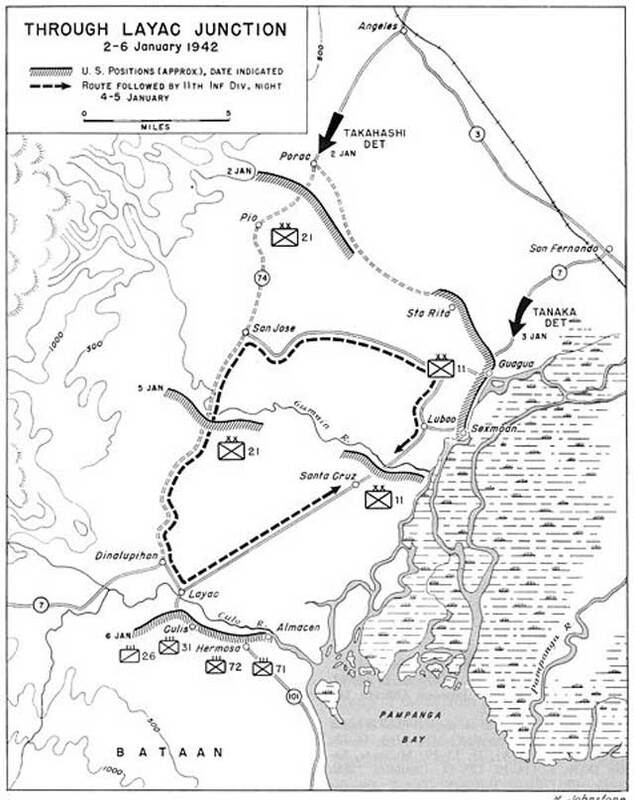 This situation map of the battle at Layac Junction is based on materials that came from the United States Army Center of Military History. Further north on the Malay Peninsula, the Indian 11th Division continues to hold its main defensive line anchored at Trolak just north of the Slim River. However, it is today it comes under pressure. The British have chosen to defend a narrow roadway between heavily forested areas that is just north of the Cluny Rubber estate, where the forests have been cut down and which is just north of the Slim River. During the afternoon, the Indian 5/16th Brigade on the coast pulls back through the 12th Indian Brigade positions, which is positioned on the north bank of the Slim River. The advance guard of the Japanese 42nd Regiment following close behind then launches an attack on the 12th Indian Brigade that leaves 60 Japanese soldiers dead on the battlefield. The leader of the Japanese Regiment, Colonel Ando, then decides to await reinforcements before launching further attacks. While the Allies' line holds, the situation looks grim for them because the Japanese can bring up more troops and the Allies don't have a lot of troops to spare. In addition, and unknown to the British, the Japanese have a large number of tanks quickly heading south, while the Allies have none available at all. 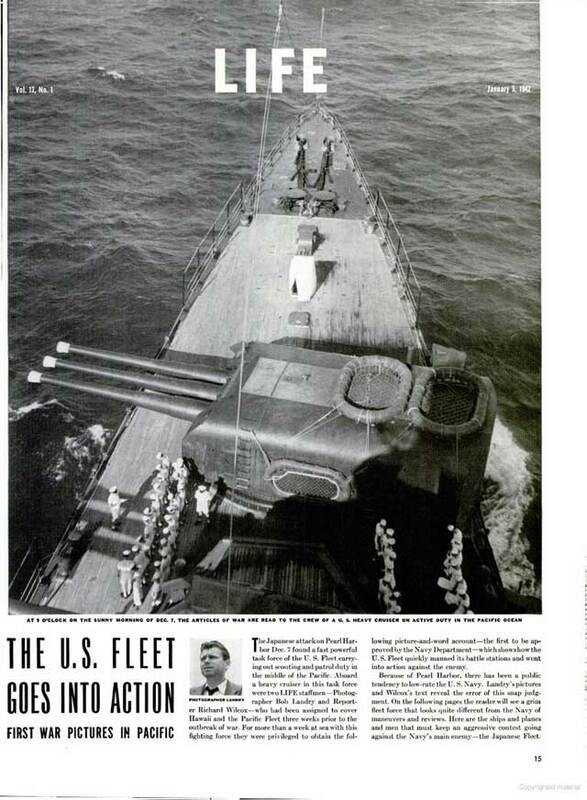 Life magazine prints this picture of an unidentified US Navy cruiser in its 5 January 1942 issue. 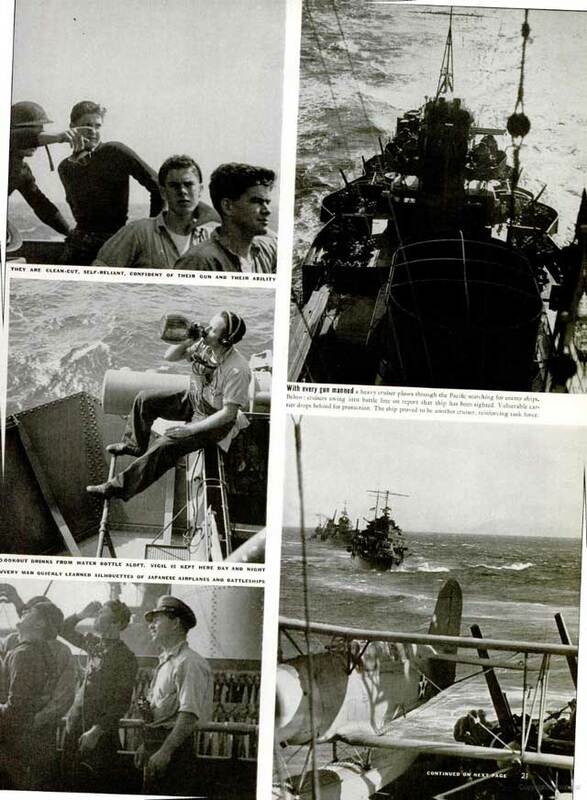 Battle of the Mediterranean: In a rare victory by one submarine over another, British submarine HMS/M 'Upholder' (N 99, Lieutenant-Commander Malcolm David Wanklyn) torpedoes and sinks 1461-ton Italian submarine Ammiraglio Saint Bon to the north of Milazzo, Sicily. There are three survivors and 59 deaths. 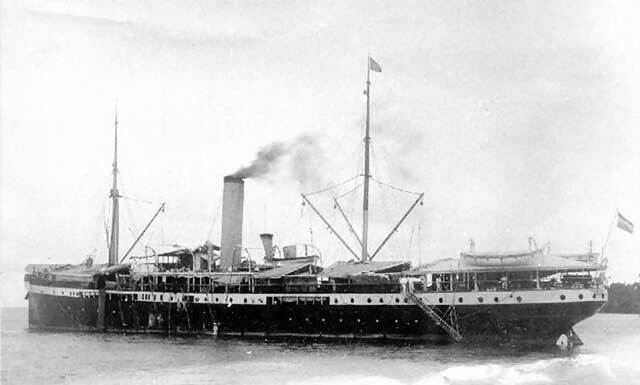 The Ammiraglio Saint Bon was en route from Naples to Tripoli carrying 155 tons of gasoline and ammunition, which explode when the torpedo hits the starboard side. This is a demoralizing blow to the Axis because it demonstrates that not even submarine transport is safe in the Mediterranean. "Benghazi, Cyrenaica, Libya. 5 January 1942. The scene at El Berca airfield showing the wreckage of the many Axis aircraft destroyed and a densely filled cemetery behind." Australian War Memorial MED0274. 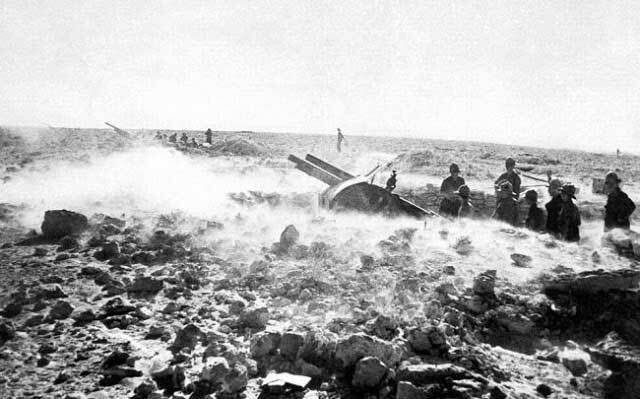 Battle of the Mediterranean: Following the large Luftwaffe raid on Malta on 4 January, the British receive intelligence from Cairo that the Germans have assembled powerful dive-bomber forces in Sicily for further attacks. There also are reports from an aerial reconnaissance of an Italian battleship accompanied by other ships about 200 miles to the east. 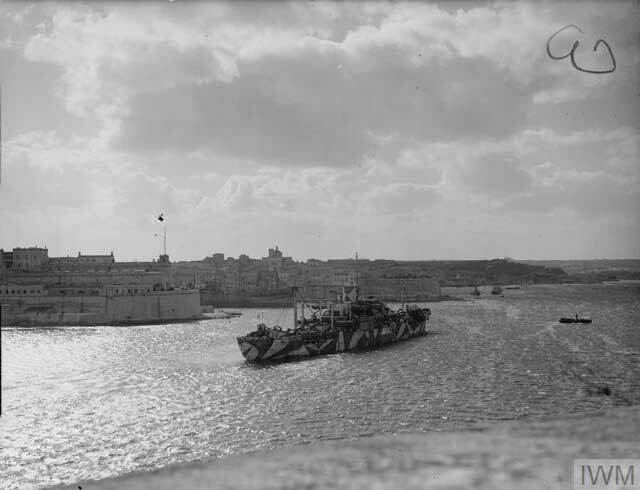 The Germans conduct several raids around mid-day which drop bombs over Gozo, Msida Creek, near Tal Qroqq, near Gudja searchlight position, and in Zabbar. The British defenses are hampered by heavy rains recently, which have made the grass airfields waterlogged and sometimes impossible to use. The RAF manages no interceptions during the day, and the Luftwaffe loses no planes nor has any damaged, a rarity for days with sustained attacks. Time magazine, 5 January 1942 (cover photo credit: Ernest Hamlin Baker). Western Front: RAF Bomber Command sends 89 Wellington bombers and 65 other aircraft (154 total) to attack the port area of Cherbourg and other German naval bases. The Kriegsmarine still has heavy cruisers Prinz Eugen, Scharnhorst, and Gneisenau at Cherbourg. 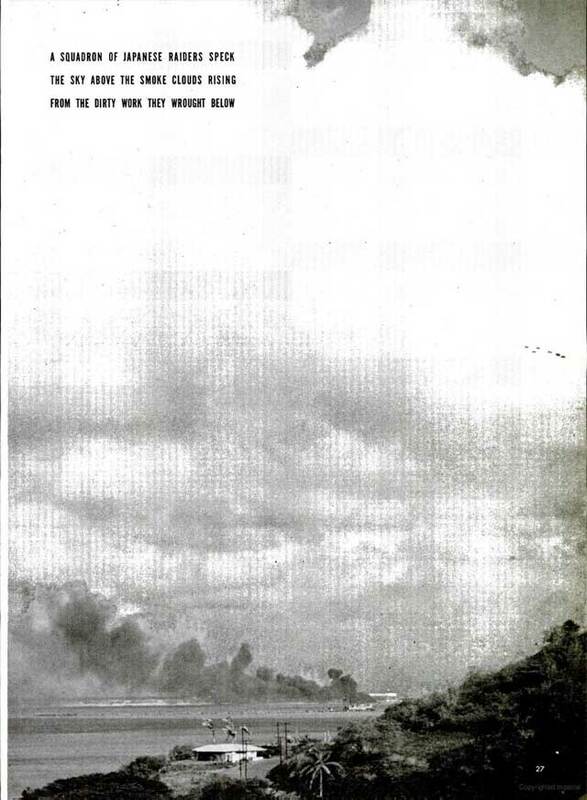 The Germans make smoke, which successfully destroys the bombers' aim. While the warships are not hit, there is damage to the port area and large fires. The German admirals begin thinking of a way to get the large ships out of harm's way, but options are limited. 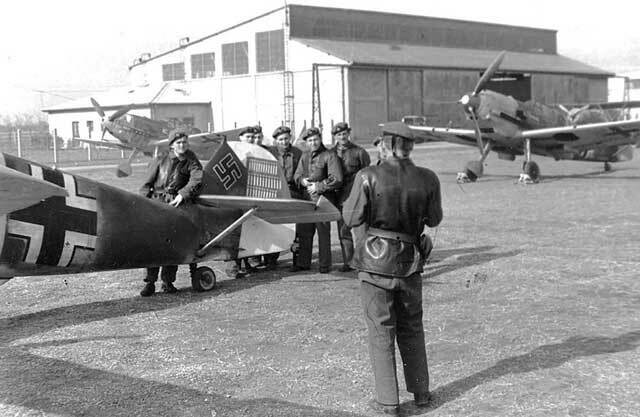 One thing is sure, the Germans don't have much time to act before the raids begin causing serious damage. US/Japanese Relations: While Japan and the United States are at war, there are still certain diplomatic formalities to discharge. Each side is obligated to return the other's diplomats, for instance. The Japanese accept the port of Laurenzo Marques (Maputo) in Mozambique for this exchange of diplomats. 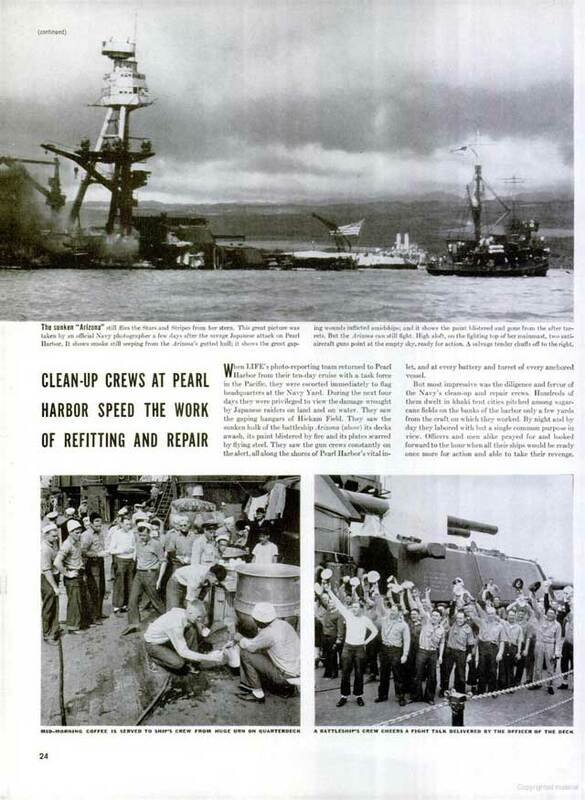 On 5 January 1942, Rear Admiral Ben Moreell, Chief of the Navy’s Bureau of Yards and Docks, is given authority from the Bureau of Navigation to recruit men from the construction trades for assignment to a Naval Construction Regiment composed of three Naval Construction Battalions. The first construction units, later nicknamed Seabees for the acronym of "Construction Battalions," are formed at a newly constructed naval bast at Davisville, Rhode Island. (Postcard from the U.S. 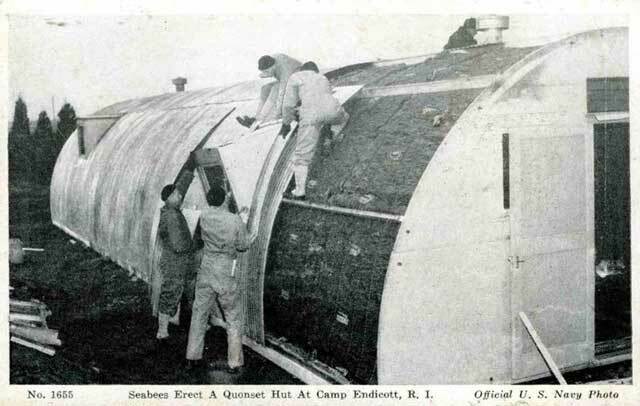 Naval Construction Training Center, Camp Endicott, Davisville, Rhode Island. Gift of Gay Meaker, The National WWII Museum Inc., 2003.103.095). US Military: US Forces in Australia (USFIA), which controls Far East Air Force (FEAF), is activated and redesignated US Army Forces in Australia (USAFIA). It is under the overall command of Major General George H. Brett, and its headquarters is located in the MacRobertson Girls High School in Melbourne, Victoria. 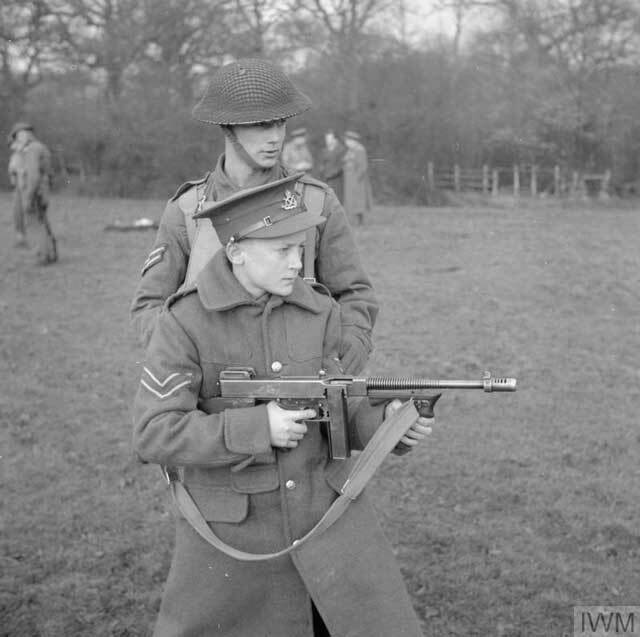 All men aged 20-44 now are required to register for the draft no later than 16 February 1942. All Japanese-American selective service registrants are classified as enemy aliens (IV-C). Many Japanese-American soldiers are discharged or assigned to menial labor such as kitchen police (KP) duty. "A squadron of Japanese raiders speck the sky above the smoke clouds rising from the dirty work they wrought below." 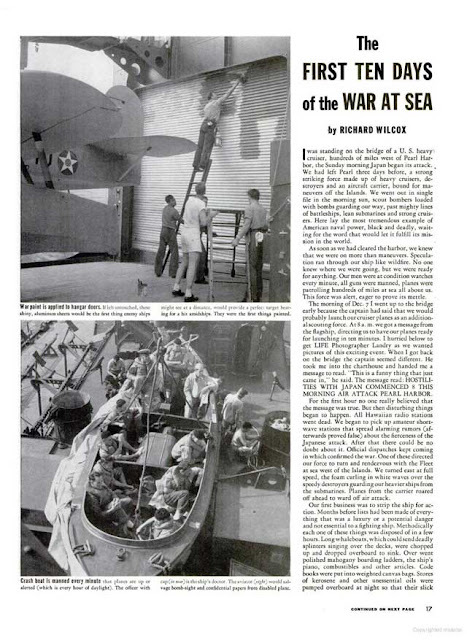 Images from a 5 January 1942 Life magazine article on life in the US Navy after Pearl Harbor. The US Navy changes its regulations covering the display of national insignia on aircraft. The star returns to the upper right and the lower left wing surfaces, and there is a revised rudder striping that now has 13 red and white horizontal stripes. 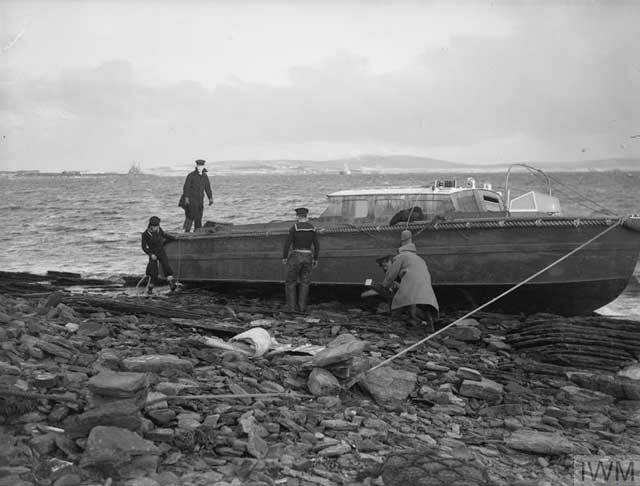 "A repair and salvage party at work on a motor cutter which broke down and went ashore in a gale." Scapa Flow, 5 January 1942. © IWM (A 6951). 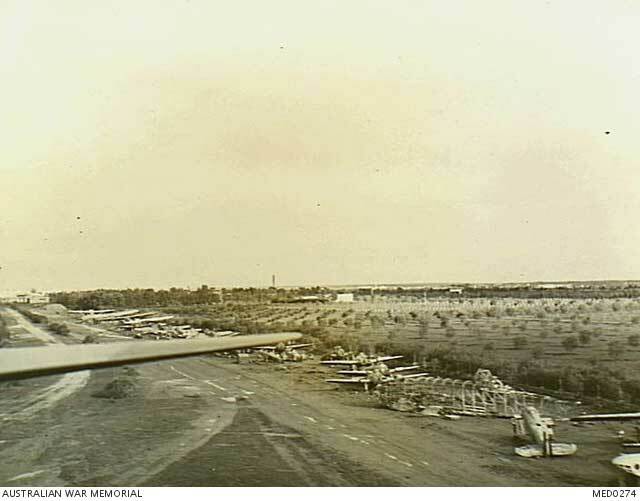 Australian Military: The War Cabinet in Canberra approves a British request for transfer of Australian I Corps (6th and 7th Divisions) from the Middle East to Southeast Asia. The British also begin moving the British 18th and Indian 17th Divisions from the Middle East to Bombay, India; Ceylon; and Singapore, Malaya. These British initiatives are designed to allay Australian and New Zealand fears that the British will focus exclusively on the Middle East battles while allowing the Far East territories to remain in peril. British Military: British General Claude E. Auchinleck, Commander in Chief Middle East Command, has his authority expanded to include Iraq and Iran. British forces in Iraq are designated British Tenth Army under Lieutenant General Edward P. Quinan, with Ninth Army covering British forces in Syria under General Sir Henry Maitland Wilson. 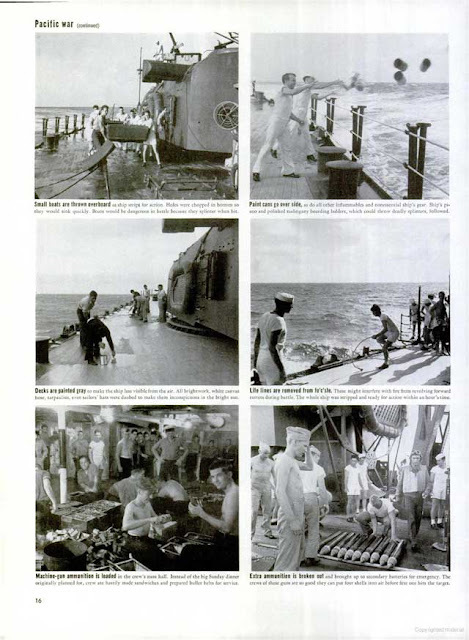 Images in the 5 January 1942 issue of Life magazine showing life aboard a US Navy cruiser. Holocaust: The Dutch Council of Churches issues a public protest against mistreatment of Jewish residents. 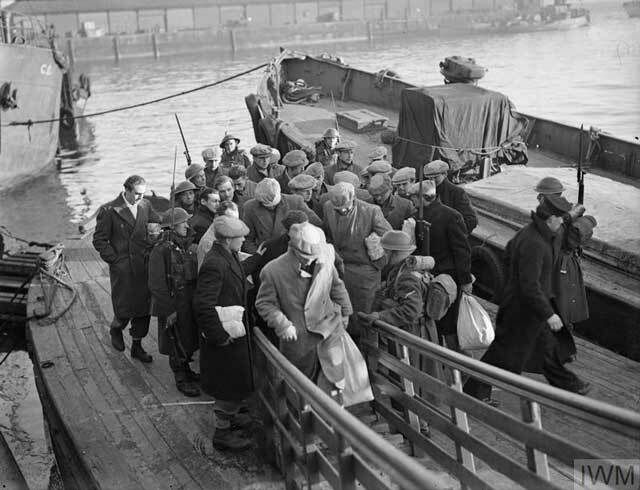 All Dutch Jews already are required to register with occupation authorities, but mass exterminations have not begun. American Homefront: All enemy aliens in San Francisco, California, are required to surrender by the end of the day all radio transmitters, shortwave receivers and precision cameras to the U.S. Army's Western Defense Command under Lieutenant General John DeWitt. 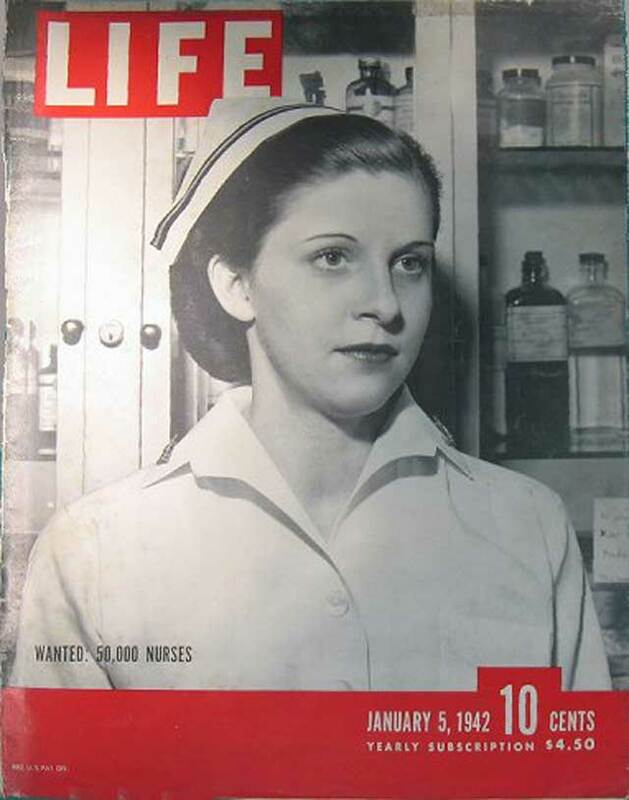 The cover story for the 5 January 1942 Life magazine is "Wanted: 50,000 Nurses."